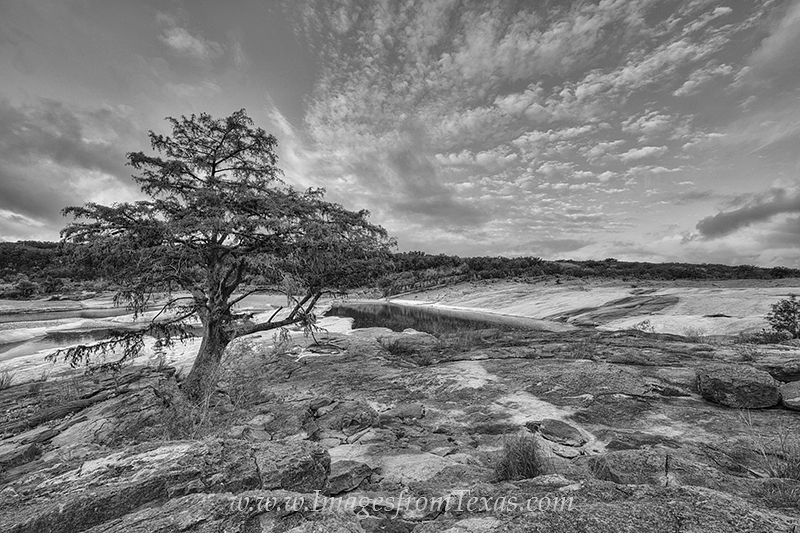 This black and white image from the Texas Hill Country was taken at Pedernales Falls State Park. Using an old cypress tree in the foreground, I tried to frame this composition to accentuate the wonderful morning clouds that drifted overhead this calm September morning. Photo © copyright by Rob Greebon.